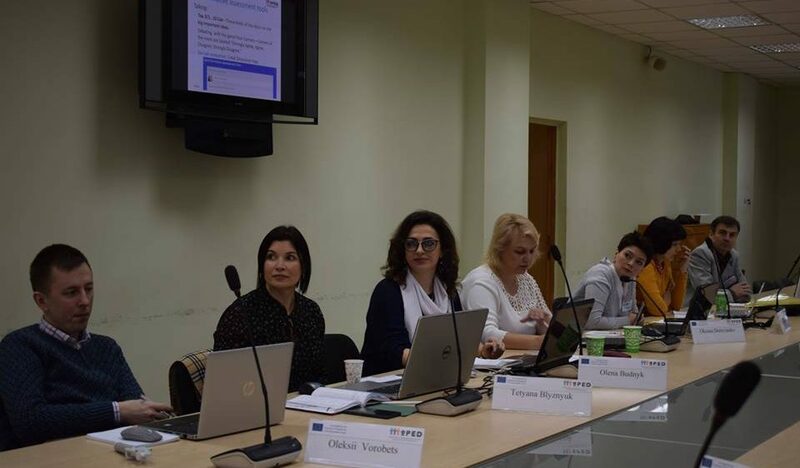 Training sessions for teachers of Ukrainian universities in the context of the International Project EU Erasmus + KA2 “Modernization of Pedagogical Higher Education by Innovative Teaching Instruments – MoPED” (№586098-EPP-1-2017-1-UA-EPPKA2-CBHE-JP) were held for several days in the Pereiaslav-Khmelnytskyi Hryhorii Skovoroda State Pedagogical University. 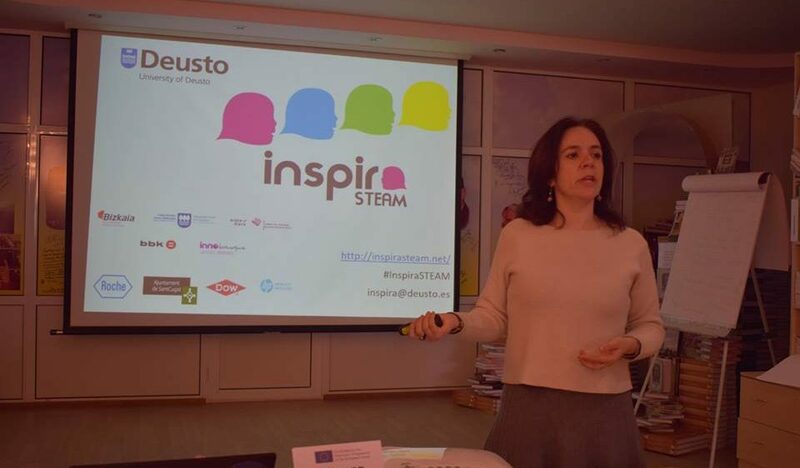 They were conducted by our colleagues from the University of Deusto (Spain): Olga Dziabenko, Maria Yarosh, Maria Luz Guenaga Gomez and Arantza Arruti Gomez. 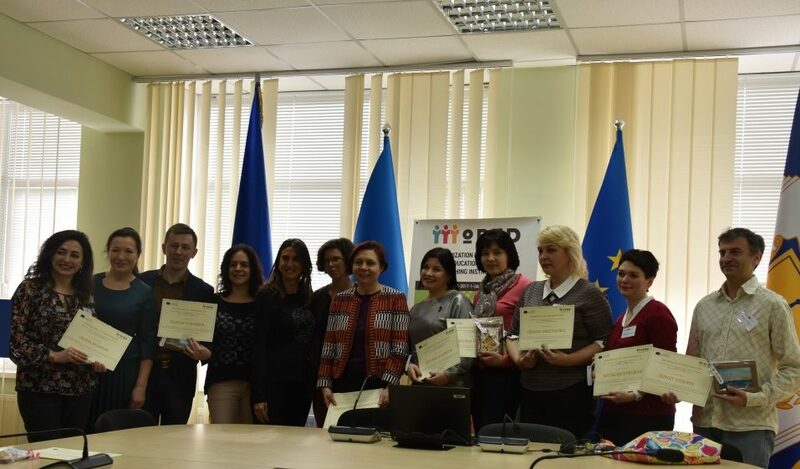 The training sessions were attended by the representatives of our University: the project leader and the participants of the academic group: Doctor of Pedagogical Sciences, Professor Olena Budnyk, Candidates of Sciences, Associate Professors Tetyana Blyznyuk and Victoria Gnezdilova, and Candidates of Sciences, Associate Professors: Oksana Derevianko, Oleksii Vorobets, Assistants: Natalia Nykorak and Sergii Sydoriv. 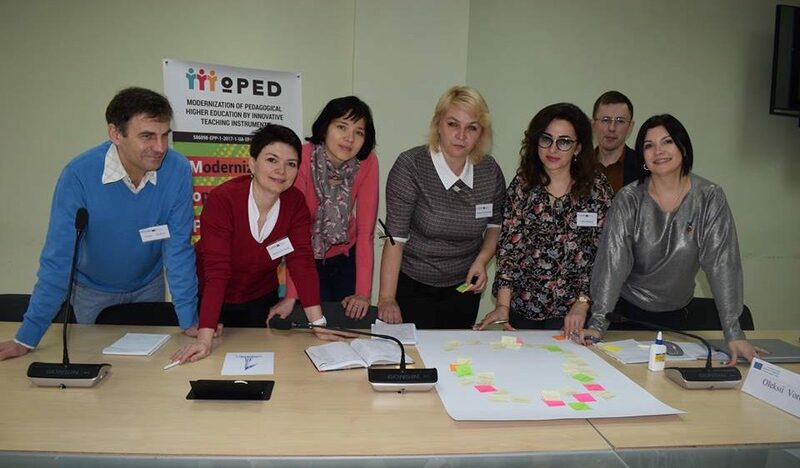 The subject of discussion was updating education content in higher education by means of pedagogical innovations. The problems of developing the students’ critical thinking, digital literacy in lesson designing, entepreneurial competence, research skills using the platform GO-LAB, modelling learning outcomes and methods of evaluation (including the technique of flipped-learning) were discussed. 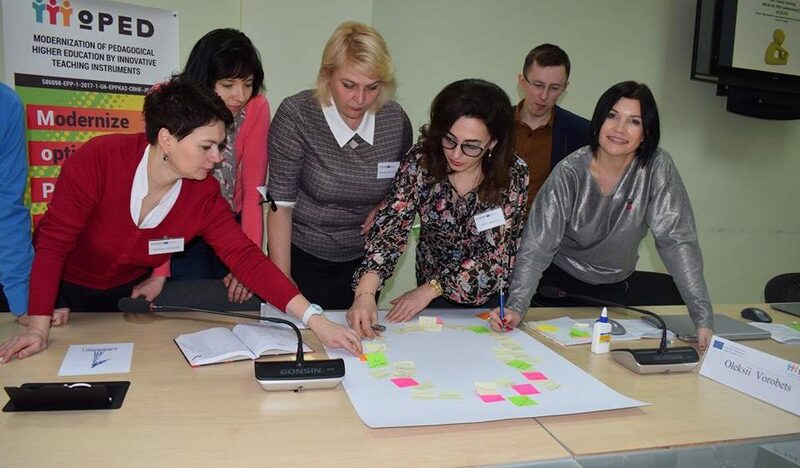 The participants of the sessions got acquainted with modern tools for creating educational infographics and video, and also participated in sessions: “Open School Model”, “Girls in the STEAM” and others. 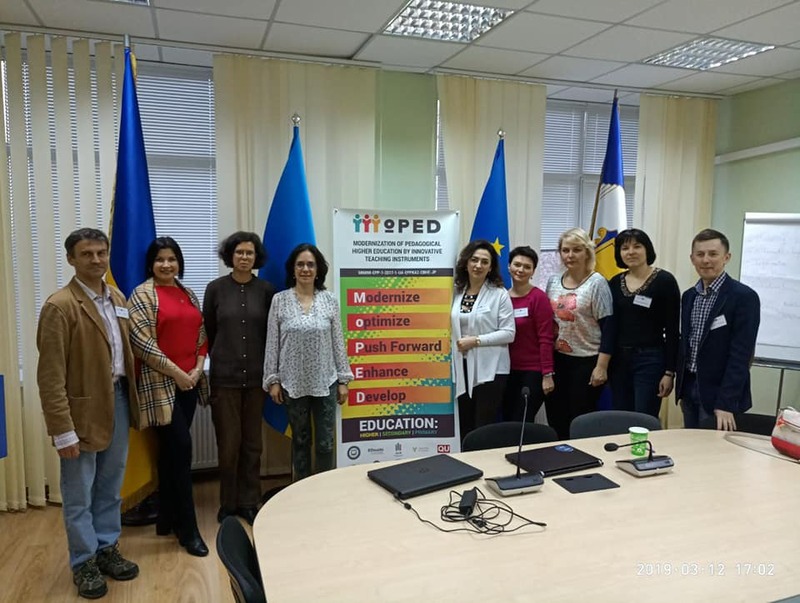 “Particularly useful for the participants were the questions regarding the study of tools for working with video files and formative assessment tools”, said Professor Olena Budnyk. 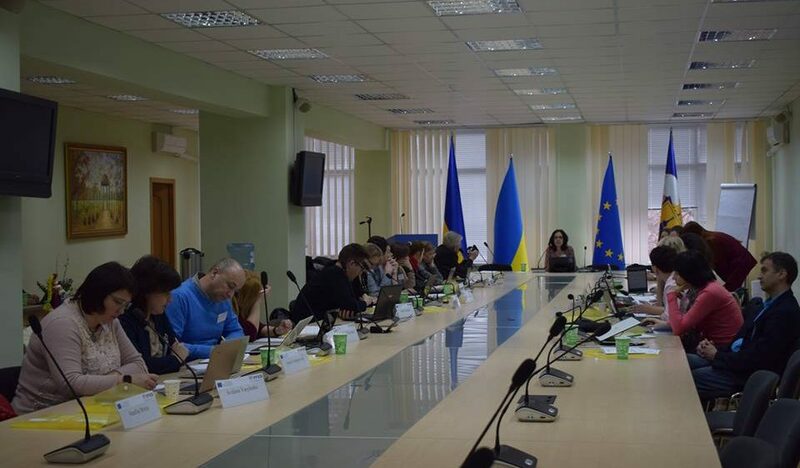 Best European tactics regarding the organization of the educational process at schools of various types will be used in the process of creation and introduction of new disciplines for students of the University. 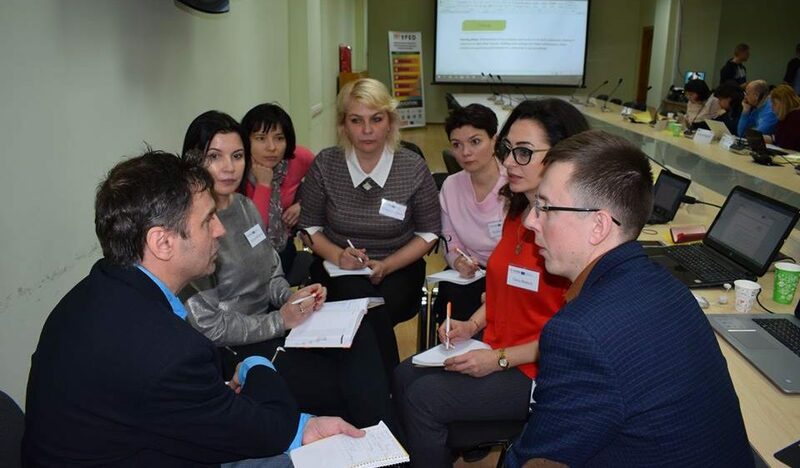 The training sessions were held in an interactive format that enabled active involvement of all participants in the discussions, exchange of experience in order to develop their own innovation strategies. 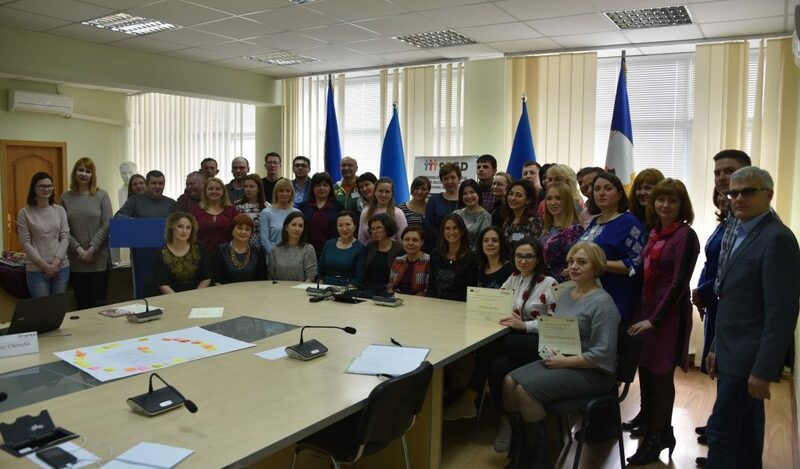 The next stage is educational trainings for lecturers of universities as well as teachers of secondary schools for spreading such experience, enhancing professional-pedagogical skills.